Sharing ideas with friends and collaborators is simple and fun with ‘group boards’ (where friends can pin to the same board,) ‘secret boards’ and now a messaging feature that allows you to send a pin to a friend along with a personal message. We’ve discovered new blogs, designers, artists and products, as well as loads of ideas on entertaining, holiday decorating, party planning and even cooking. Not to mention the quality photography, infographs and illustrations that make their way onto the site. We love creating new boards that are full of quality content but, we never take ourselves too seriously–it’s all about having fun, right?! If you haven’t joined yet, go ahead and sign up! 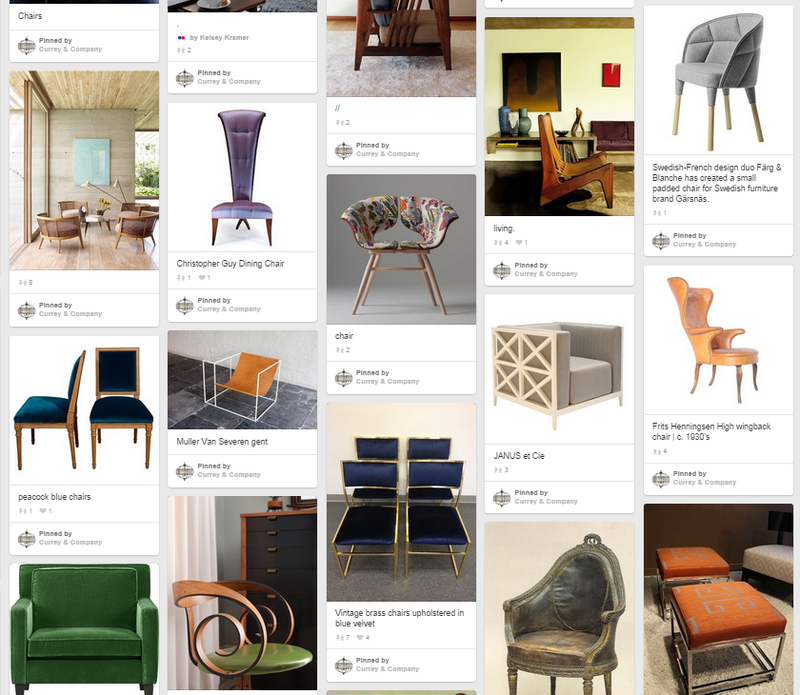 Join in on the fun and don’t forget to follow Currey & Company on Pinterest! 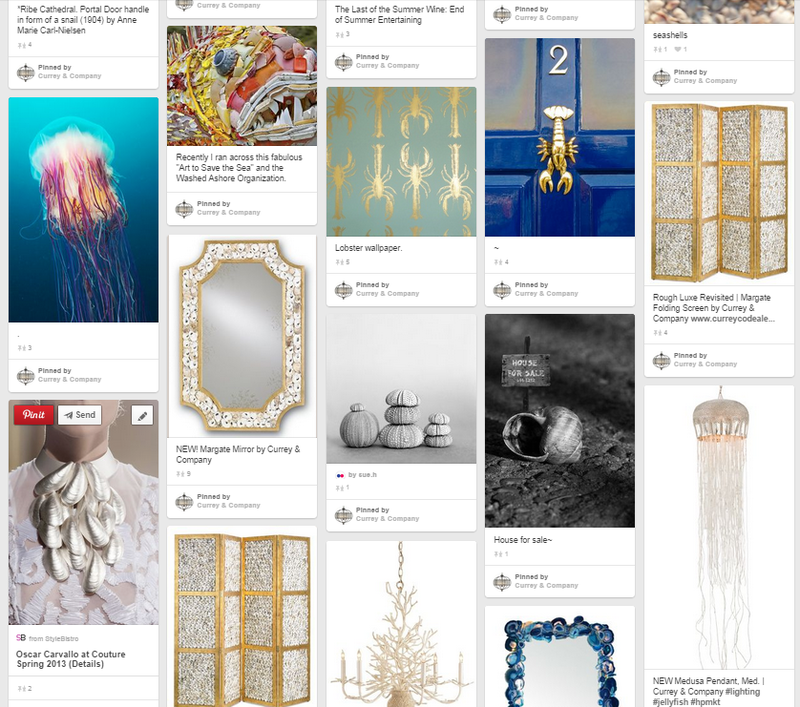 This entry was posted in Currey & Company, Entertaining, Products and tagged Accessories, black, Chandeliers, design trends, Furniture, Gray, Lighting, nautical, seashell, seating, Table Lamp, Wall Sconce, White on September 30, 2014 by Currey & Company.